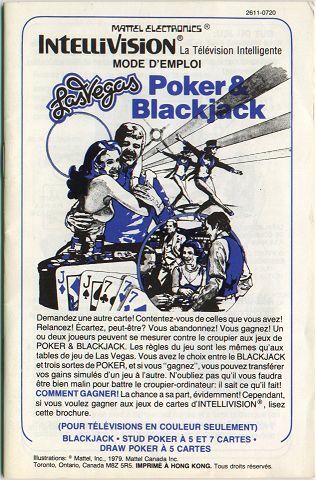 More than 2 million LV Poker & Blackjacks were shipped; about double the other best selling games. There's several on ebay right now. I wonder if the stores even sold it separately in 1983. The Digiplay version is quite rare. How rare is the Canadian bilngual LV Poker & Blackjack? 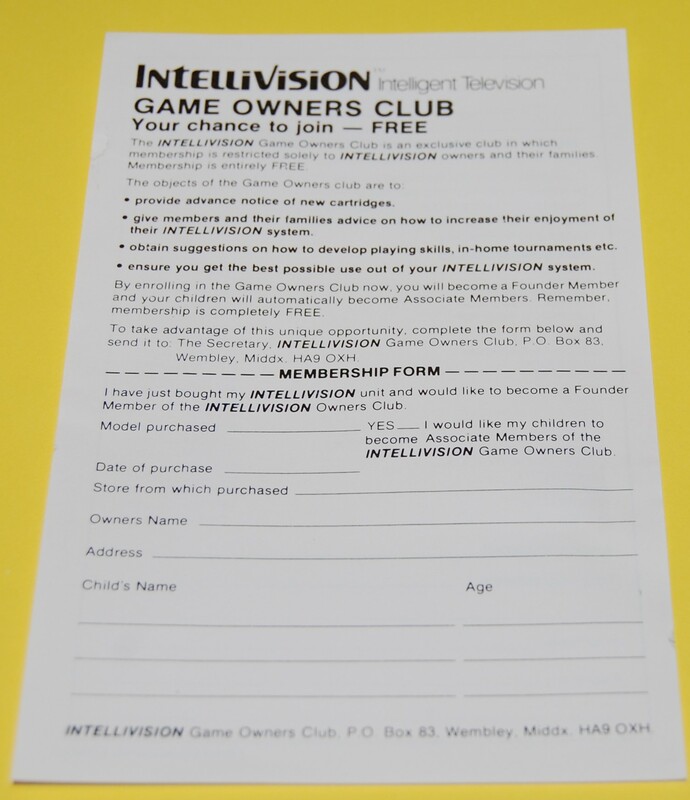 The one that came with my Canadian Intellivision is English only. Which instructions does it have? Bilingual 2611-0720 or 2611-8920? I'll check tonight, but I hope it's the 8920! That one looks pretty cool. I just completed two made in Taiwan Poker & Blackjacks with the funky non-tray cart retention gatefold boxes. I happened into 2 decent condition boxes but finding the made in Taiwan carts and manuals is harder than you'd think. The overlays are easy since they are the version with the orange arrows and text and were US made. I don't think they are rare at all but it was cool to bring these parts back together to make 2 CIB games with all the exact pieces. Edited by JasonlikesINTV, Wed Jan 18, 2017 10:25 PM. It's the 0720, must be the Canadian bilingual one. I'm guessing the 8920 is french only and older. Since these games were pack-ins, french instructions were required by law in Québec, and needed to sell Intellivision consoles there. Some Bilingual intellivisions didnt have them. Did they slip through in Québec or did they somehow know how to distribute them. Edited by mr_me, Thu Jan 19, 2017 4:23 AM. Lol. Well I created it as a resource for those interested in collecting for the Inty. I have often thought of creating this and much of it could be put together from Intyfunhouse. For me personally, with language variations, I am well over 500. Edited by JasonlikesINTV, Sun Feb 25, 2018 11:15 PM. "Baseball" by Mattel Electronics was only available outside North America and would be in the Mattel international/foreign market list. Yes, for collectors, there should be a Sears list, a Canadian list, Action network list, Space network list, Mattel International list, rom variant list, ECS list, Keyboard Component list, NFR list, Digiplay list, Intellivision Inc / INTV Corp list, Atarisoft list, CBS list, Coleco list, etc... For gamers they just need 124 or less cartridges. Edited by mr_me, Mon Feb 26, 2018 8:09 AM. There are rom file collectors. That list would mirror the 125 cartridge list plus rom variants that were on cartridge and not on cartridge, plus prototypes, contest versions, debugging versions, plus unfinished cartridges, and rom files at various stages of development. It would be a good list as well. Just like real cartridges a gamer wouldn't need the rom file to Triple Challenge. Edited by mr_me, Mon Feb 26, 2018 9:22 AM. There are a lot of variants. This is especially true for that common Mattel games. Generally, there are fewer variants for the rare games and the non-Mattel games. I don't know of a 100% complete list of all variants, but this site has many of the variations listed for boxes, overlays, cartridge labels, manuals, inserts, etc. This should give you an idea of what types of variations are out there so you can define what a complete collection means for you. (...) Generally, there are fewer variants for the rare games and the non-Mattel games. When it comes to baseball, is the UK edition (and likely in other English language markets outside NA) different than the other International Editions where the instructions were slotted in the back of the box? Where licensing was not an issue did the UK, Australia, South Africa etc. not get the exact same cartridge package as the NA edition? Another example is Checkers or Draughts in the UK; also different than the international edition of Checkers. 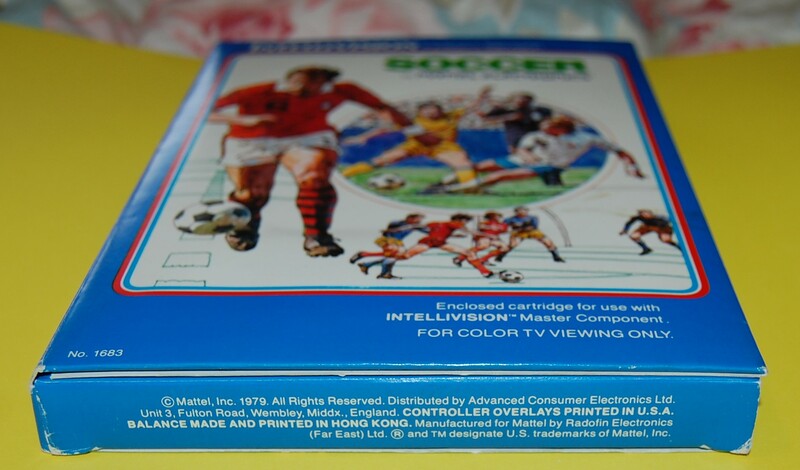 Separate lists of each foreign language of Mattel cartridges would be nice as well; differences just being the instructions slotted in the back. So the UK editions could be a different list. Edited by mr_me, Wed Feb 28, 2018 5:11 AM. (...) According to intvfunhouse UK Baseball was the same as other Mattel international editions with the instructions slotted in the back. So the UK list could be short ie. Draughts/Checkers; anything else? 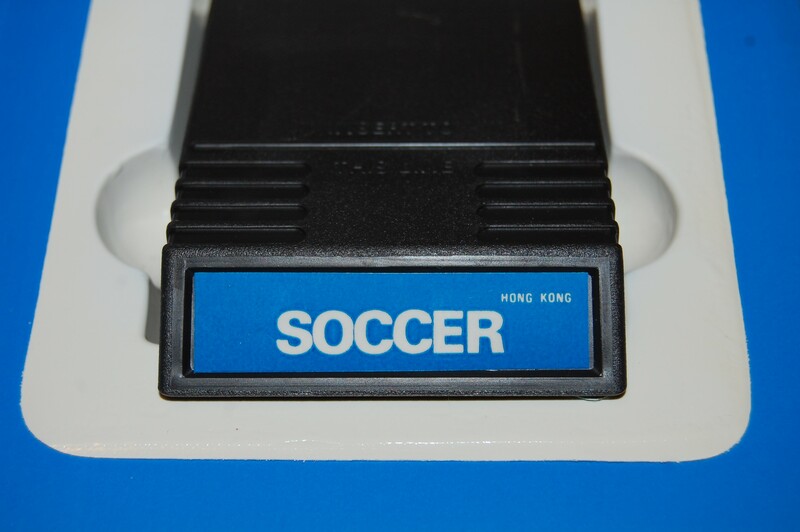 It's without NASL, it has three lines on the bottom of the front box, it's in the UK, it's Mattel. 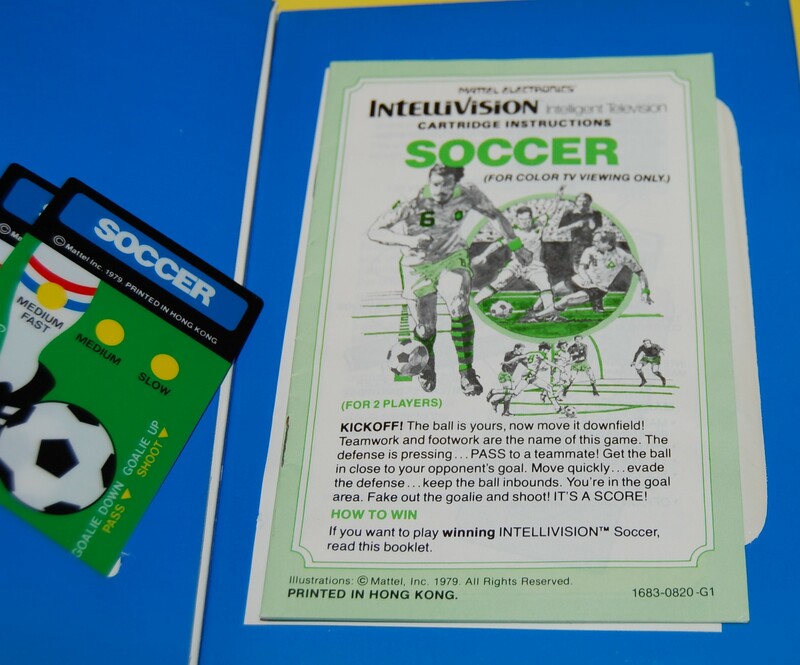 Hence it's not for NA (the US and CA editions have NASL), it's not International (the IEs have a different text in the bottom of the front box, like this: eBay Auction -- Item Number: 232421021741 ), it's not Intellivision Inc.
Edited by intellivotion, Wed Feb 28, 2018 8:07 AM.